Farmington is a vibrant community in the western foothills of Maine with a rich heritage. In these pages we share just a little of who we are and how we came to be. These web pages are just the beginning. We look forward to building and adding to this site. In addition to sharing Farmington's history with the world, another of our goals is to instill an understanding of the past and a passion for local history in the next generation of Farmington citizens. We will continue to work with local students as well as future teachers at University of Maine Farmington to teach the skills of working with primary documents to better understand the people and purpose of Farmington's past. 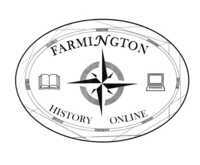 We also invite you to join that journey with us and share what you know about Farmington and help us share it with the world.